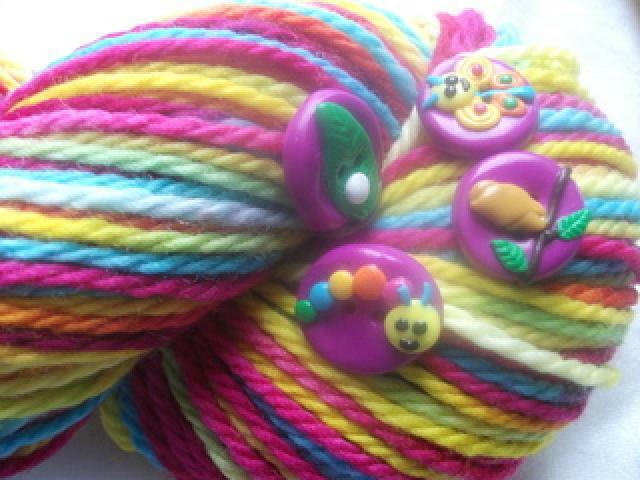 Hand dyed yarn with beautiful hand made buttons. I have for sale these beautiful hand made "life cycle of a butterfly" buttons along with 200g of my "butterfly" colourway on standard merino aran. If you would like to purchase this wonder please say below and i will add it to my store for purchase. Gah! this is gorgeous and I missed it will there be any more of this one? gorgeous! Do you have anymore of the buttons? Thank u Frances, i will sort out a listing later! Aw that's gorgeous. And I missed it Don't suppose you've got any more? ?